Neville Crichton’s 100 foot Alfa Romeo has sounded the warning bell for this year’s Rolex Sydney Hobart, capitalising on a costly mistake aboard Wild Oats XI to take a resounding victory in the SOLAS Big Boat Challenge. 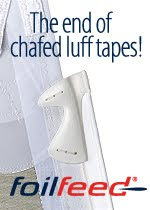 "The difference was Ricko getting a twisted sail. Today’s race was a bit of fun, but it’s more fun to win,” said Crichton. Crichton’s prediction for the upcoming blue water classic is the crew who makes the least mistakes will win. If today’s 14 nautical mile sprint around the southern end of iconic Sydney Harbour is anything to go by, Bob Oatley’s Wild Oats XI crew have been given a rude reminder that they’ll only beat Crichton by sailing a perfect race. 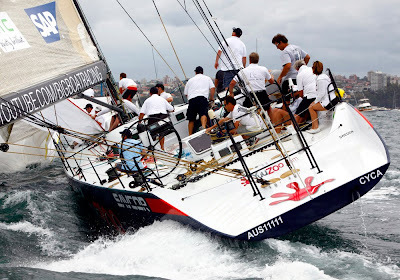 The Mark Richards skippered Wild Oats XI was leading Alfa Romeo around the track until the final downwind run when a nasty wrap in their spinnaker, referred to as a ‘wine glass’, cost them the silverware. "We were very happy with our performance today,” said Richards. “The boats have always been very evenly matched and always will be, I’d say. [Wild Oats XI wine maker owner] Bob said it’s not very often a wine glass gets on top of him, but it got on top of us today. "It’s good to give the team a kick in the pants and to realise you’ve really got to dot all the i’s and cross all the t’s otherwise you are going to get beaten,” added Richards. 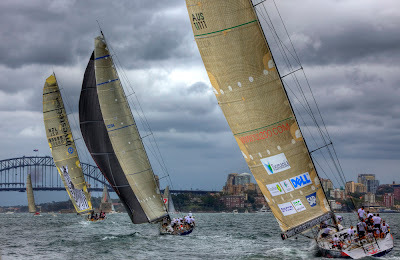 The biggest spectator fleet in the event’s 16 year history wasn’t disappointed as the 19 starters set off up the harbour under grey skies in a nor’easterly breeze that fluctuated between 12 and 16 knots during the afternoon. Wild Oats XI and Alfa Romeo, both Reichel Pughs, shot out of the starting gate off Steele Point, the two boat-for-boat up the first beat in an America’s Cup style match race. 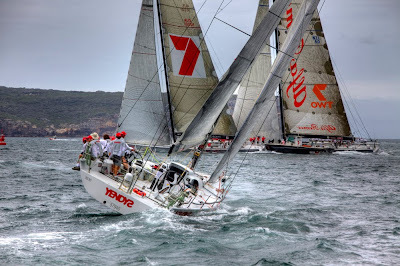 Crichton was aggressive on the helm, calling starboard on Wild Oats XI’s skipper on the first windward beat and forcing him to tack off, the two boats so close the crews could have shaken hands. Wild Oats XI led Alfa Romeo around the course, rarely more than two boat lengths apart as the skippers sailed their own races, only meeting to cross tacks and at rounding marks. Then, when it looked like Richards had the supposedly “fun race” sewn up, a spinnaker malfunction allowed Crichton to pounce. Third over the line was Bob Oatley’s Wild Oats X, skippered by Iain Murray, and fourth was Sean Langman’s 100 foot Investec LOYAL with its A-list sporting line up including Grant Hackett, Phil Waugh and Phil Kearns. 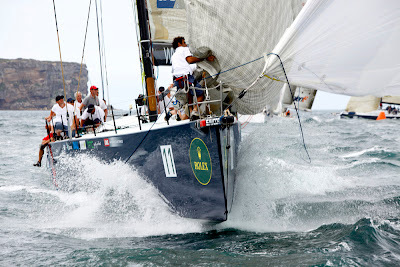 Last year’s Rolex Sydney Hobart overall winner, Bob Steel’s TP52 Quest, skippered by Mike Green, was named today’s overall winner from Geoff Ross’ RP55 Yendys and Stephen Ainsworth’s RP63 Loki. 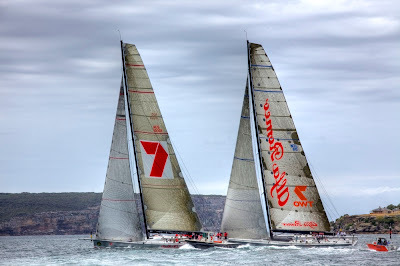 The next event on the Rolex Sydney Hobart lead up calendar is the Rolex Trophy Rating Series which starts Thursday 17 December and runs through to Sunday 20 December before the climax, the Rolex Sydney Hobart Yacht Race starts at 1pm on 26 December.